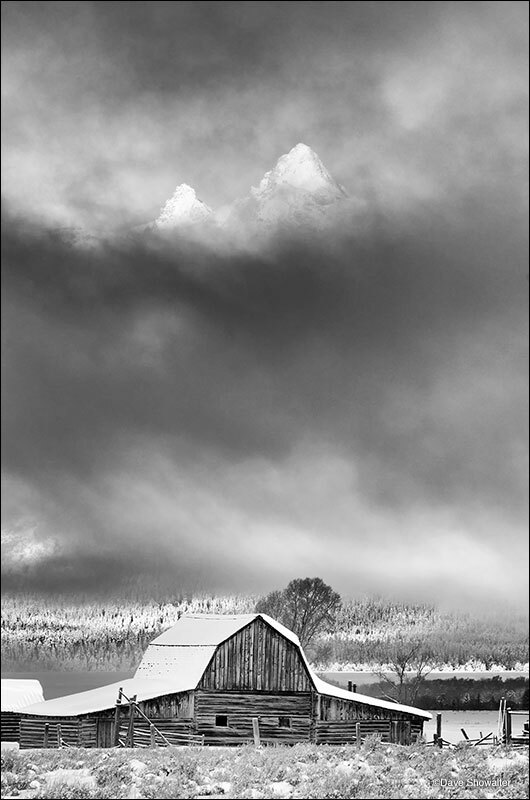 John Moulton's historic barn is perfectly situated with a backdrop of the Grand Teton. The "Mormon Barn" attracts photographers from around the world, each seeking their take on an iconic image. Marla and I cross country skied to the barn one winter morning and reveled in having Antelope Flats to ourselves. Photo © copyright by Dave Showalter.